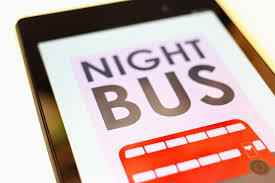 Changes to night buses will happen this month. Reading buses will this month be changing its night bus services running through Church ward. The N5 running down Northumberland Avenue will become the Mint 5 with departures from the station remaining on the hour. The N9 running along Shinfield Road will become the Scarlet 9a, leaving the station at 35 past the hour. Lastly those needing to get to the University late at night can now use the Claret 21 whose frequency will be increased. This entry was posted in Ward News and tagged Reading buses Mint 5 Mint 6 on August 14, 2014 by Ashley Pearce.